Based on the Pulitzer Prize-winning play by Paul Zindel, Paul Newman’s second film as director stars his wife Joanne Woodward (Three Faces of Eve, Sybil) as an abusive, over-bearing mother raising her two daughters (Nell Potts and Roberta Wallach) in an atmosphere of bitterness and hatred. The Effect of Gamma Rays on Man-in-the-Moon Marigolds is a powerful, searingly unsentimental and ultimately transformative drama, with a trio of towering performances from the three female leads at its core. Apperson wrote: Also of note, Suddenly, Last Summer and two of the other three title will be 4k restorations. 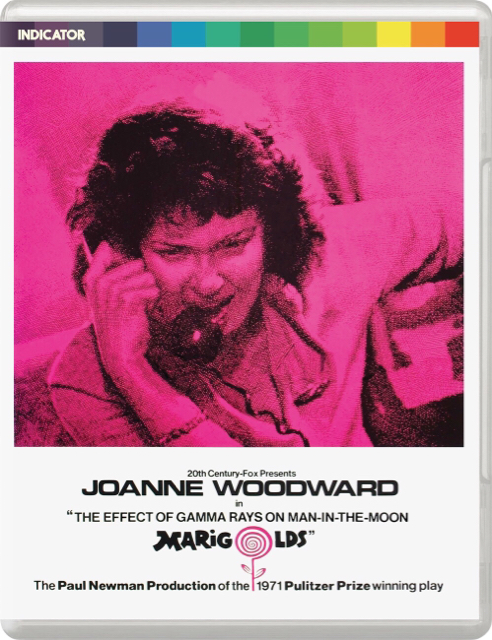 Newman's The Effect of Gamma Rays on Man-in-the-Moon Marigolds is also a new 4K scan.